The default producer’s response to champagne storage usually goes something like: “Because of strict ageing requirements, champagne is generally ready for drinking upon release to the market, having been matured to perfection in our cellars.” Now, whilst this may be true – champagnes generally can be drunk upon release – this doesn’t necessarily mean that they should be. Keep in mind that champagne, like all wine, changes with age. As champagne evolves, the fruity aromas of a younger bottle will evolve into honey, nutty, dried fruit and toasty flavours. They generally take on a deeper-golden colour as they age, and whilst the younger champagnes may be fresher, the rich characteristics of an older champagne can be unbeatable. Champagne certainly has all of the characteristics needed to survive; acidity, alcohol and sugar all contribute to an ability to age. But all of this becomes redundant if the champagne is not stored correctly. 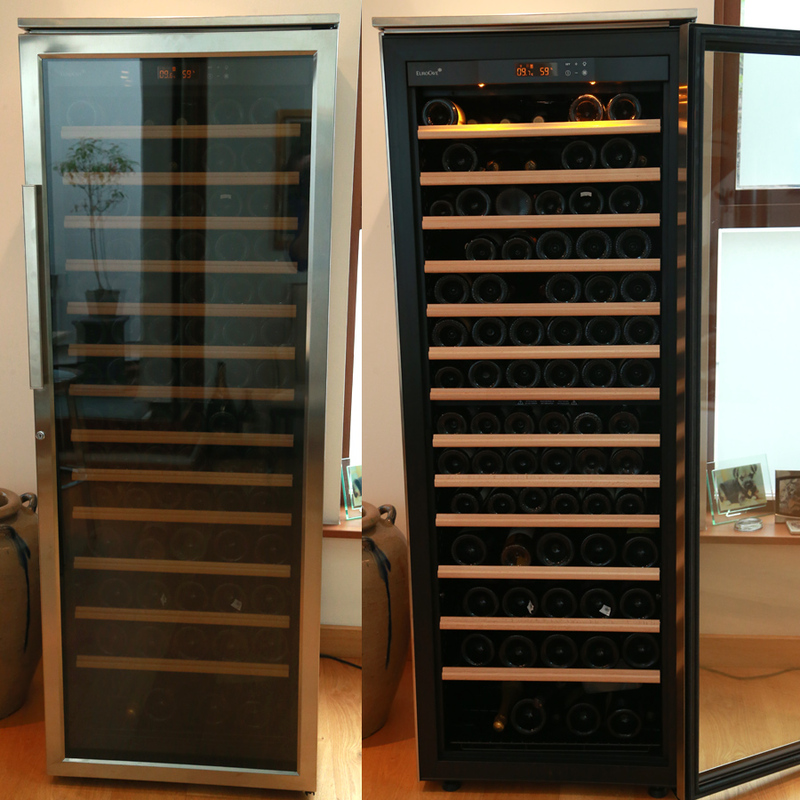 When it comes to prestige cuvées especially, correct storage isn’t just worth the effort – it’s absolutely essential. So, what are the factors to consider when storing your precious fizz? The first factor to consider is wine’s greatest enemy: oxygen. Once stoppered in the bottle, wine must be protected against O² at all costs; if the cork dries out and begins to shrink, it may no longer act as an airtight seal and could allow oxygen into the bottle, which could spoil the wine. Wine bottles are therefore traditionally stored horizontally, so that the wine is in constant contact with the cork, which is consequently kept thoroughly damp and swollen to fill the bottleneck. (Note: screw-capped bottles can be kept at any angle – another argument for crown cap closure of champagne, more on this in our Bottle vs Magnum article). However, sparkling wine and champagne are slightly more complex. In theory, the fizzy variations can be stored vertically due to their carbonation. The CO² in the ullage (the space between the bottom of cork and the wine’s surface) should keep the cork sufficiently moist and incorporate enough humidity to prevent it drying out like it would with a still wine. That said, proponents of horizontal storage feel that even champagne corks will dry out after anything more than 3-4 months, and we tend to agree. Store your bottles horizontally, and keep them safe from evil oxygen. The most serious hazard for champagne storage is temperature fluctuation. 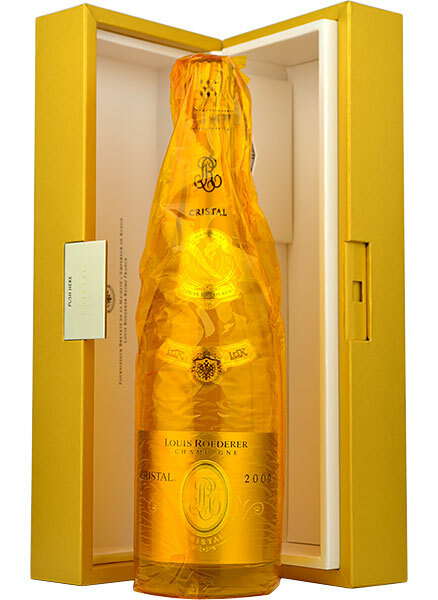 The warmer champagne is stored, the faster it will mature; accelerating its evolution and oxidisation. Kept cooler, champagne will develop slowly and more interestingly. The ideal wine storage temperature is between 10 to 15°C, however champagne tends to age best at temperatures slightly cooler than wine, so nearer to the 10°C mark is best. Why not the fridge? It is generally advised that a few days in the fridge will not affect the quality of your champagne, but any longer than a week is not recommended for three reasons: 1) The air in a refrigerator is generally too dry and the lack of humidity will actually draw moisture from the cork; 2) The bottle is frequently exposed to vibrations and light (more on this later); and 3) Odour from other foods can be absorbed if the bottle is left for extended periods. champagne was found to be surprisingly fresh after 170 years at 2-4°C in the Baltic Sea. More on this here). Equally as important, the temperature must also be kept constant. Higher temperatures cause the wine to expand, reducing the size of the ullage and potentially forcing wine out between the cork and bottleneck. Then when the temperature drops, the ullage contracts to form a vacuum and oxygen may be drawn into the bottle. If temperature fluctuates dramatically like this, the amount of oxygen can reach harmful levels. So if you don’t have a cellar or a room under constant temperature control, monitor potential places to store wine using maximum and minimum thermometers. Do not store in places like the garage or the cupboard under the stairs, as these will change temperature significantly. Light can also negatively affect wine, particularly sparkling wine and champagne. UV light from either sunlight or artificial lights causes a reaction within the amino acids in champagne that results in the unwanted production of hydrogen sulphides and sulphurous chemicals (called mercaptans). This reaction can be identified by a skunky odour, likened to leek, onion, cooked cabbage or wet wool and can become detectable on the palate after as little as just 3 hours exposure. For the studious amongst you, UV light’s destructive potential is fully explained here. You may have noticed that wine is increasingly being sold in almost black bottles, and this is the reason why. Champagne in clear bottles, such as Roederer’s Cristal, comes wrapped in anti-UV cellophane which should be not be removed. If your storage area is not dark most of the time, store your champagne in a box or cover and wrap the bottle with a cloth. Humidity is also quite important. If wine is stored in too dry an atmosphere for several years, the corks can dry out and stop being an effective seal. However, too much humidity can lead to label deterioration, peeling or mould, making champagne more difficult to re-sell. Generally, 70 to 85% humidity is considered acceptable. This ensures the corks don’t dry out. Agitation from vibration can impact champagne. Try not to store in an area that will cause the champagne to be shaken, such as near a washer/dryer or air conditioning unit. It is also advised that you do not move the bottles too often or too vigorously. An environment free from strong smells is absolutely vital (no old cans of paint or garden chemicals). Scents will eventually be absorbed over time and harm the delicate flavors of the champagne. 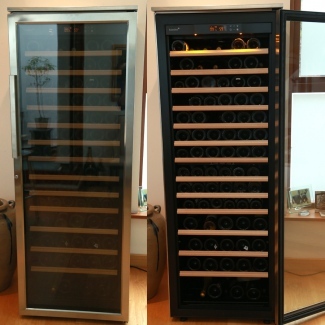 If you are serious about wine you can buy an ‘artificial cellar’, a temperature- and humidity-controlled cabinet like a refrigerator which can store champagne, red and white wine at different set-temperatures in different sections. At The Finest Bubble, we use a top of the range Eurocave, which works superbly. 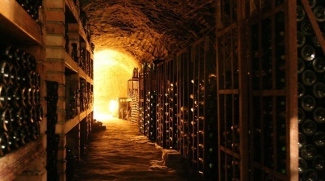 Alternatively for those who have been driven completely insane by wine, it is possible to buy a spiral cellar which can be sunk into a specially excavated hole under ground level, providing perfect storage conditions right under your home. However, it may be worth re-assessing the economy of your obsession before tearing up the ground floor of your home! 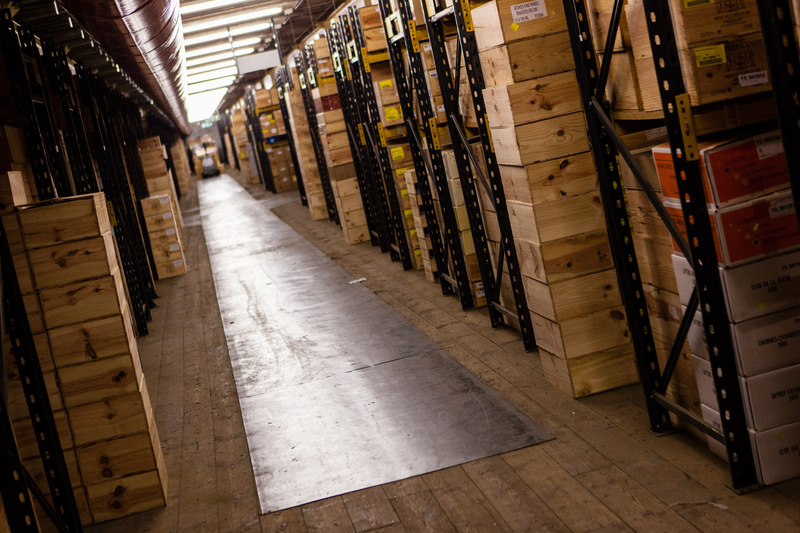 Good record-keeping provided by professional cellar management systems is also vital to ensure that champagnes do not languish past their drink-by dates and to prove safe provenance to a potential buyer in the future. More information on cellaring with TFB can be found here. 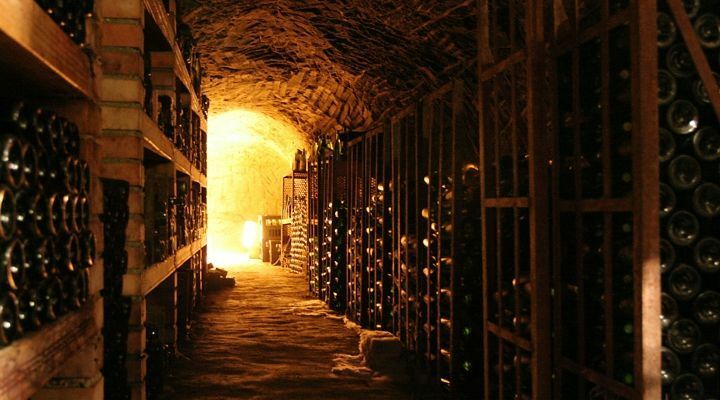 For most of us, the dream cellar is a far-off fantasy. Unfortunately, modern houses have little space for any storage, let alone somewhere cool, dark, quiet, slightly damp and roomy enough for a stash of bottled treasure. Garden sheds/garages are unsuitable in the British climate due to the danger of dropping temperatures; indoor spaces are generally too warm – central heating boilers tend to linger wherever there is storage space; and if keeping bottles in an attic or basement, they must be kept insulated under a blanket. And finally, if you really cannot find a suitable space that fits the above criteria then do not be afraid to store in the fridge. Although not generally recommended, the colder fridge is a less harmful option than somewhere with a damaging fluctuating temperature. Good luck trying to not to drink it all!